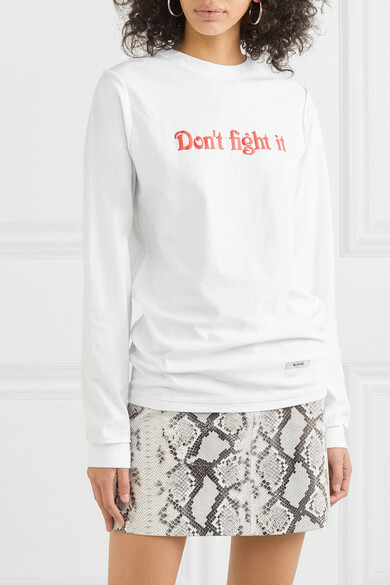 BLOUSE's tops are always decorated with playful slogans - this one is printed with 'Don't fight it' across the chest and 'Feel it' at the back, inspired by the title of Primal Scream's 1991 single. 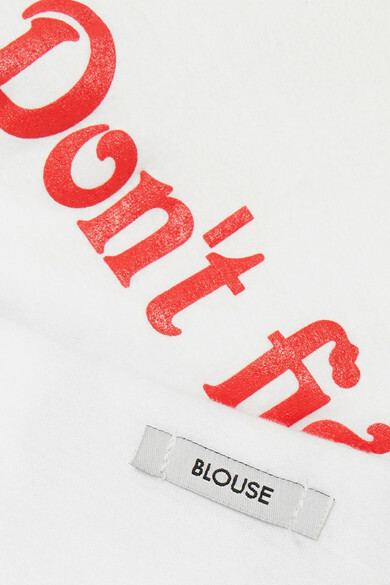 Made from soft white cotton-jersey, it's cut for a relaxed fit using the brand's signature reverse construction so the seams are exposed. Leave yours untucked so the writing at the back is visible. Shown here with: Maje Skirt, REJINA PYO Top, Wandler Shoulder bag, Unravel Project Sneakers, Jennifer Fisher Earrings.